Smart Communications, in partnership with Department of Information and Communications Technology (DICT), has improved the daily routines of commuters, as it launched its free super speed Wi-Fi at MRT stations and along EDSA starting earlier today, June 12, 2017. Through the free Wi-Fi, passengers of all 13 MRT stations can now enjoy free 30 minutes of surfing every day without worrying about data cap. Soon, this service will also be offered to the EDSA commuters. Actually, it is already available, however, the current speed is not as fast when inside the railways. To connect, users must select the #SmartWifi @MRT EDSA from the available Wi-Fi networks to enjoy their free 30 minutes of browsing. Users can extend this by acquiring Smart Wi-Fi load for as low as 10 pesos. Smart, Sun, and TNT subscribers can extend the service by converting their load by registering WIFI10, WIFI20, or WIFI50 to 9991. For just Php10, commuters can avail additional 30 minutes valid for 1 day, Php20 for 2 hours valid for 2 days, or Php50 for 10 hours valid for 5 days. 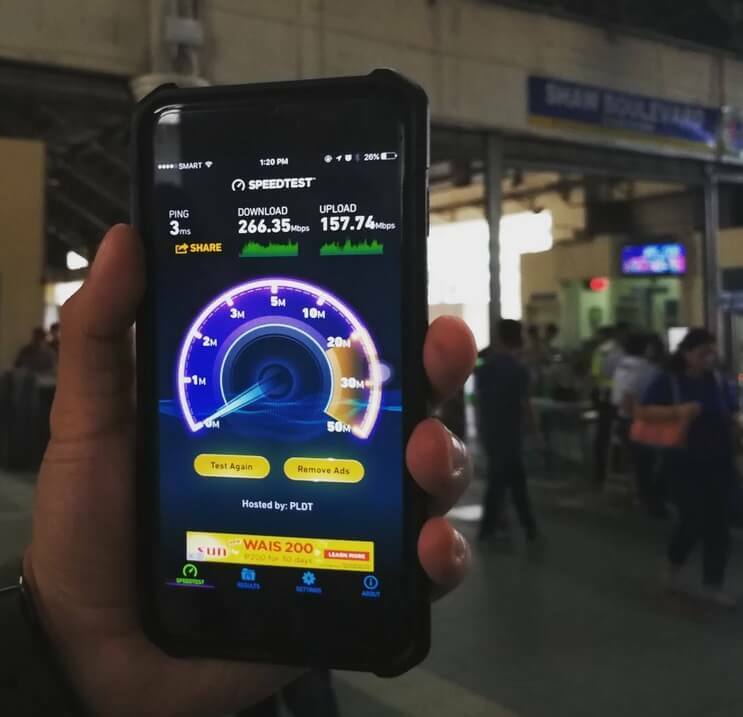 Meanwhile, before MRT and EDSA, Smart has already rolled their free Smart Wi-Fi service at the Ninoy Aquino International Airport, Light Railway Transit, and some airports, seaports and transport stations nationwide. To learn more, visit http://smart.com.ph/smartwifi or connect with Smart on social media at http://www.facebook.com/SmartCommunications or @LiveSmart on Twitter and Instagram.